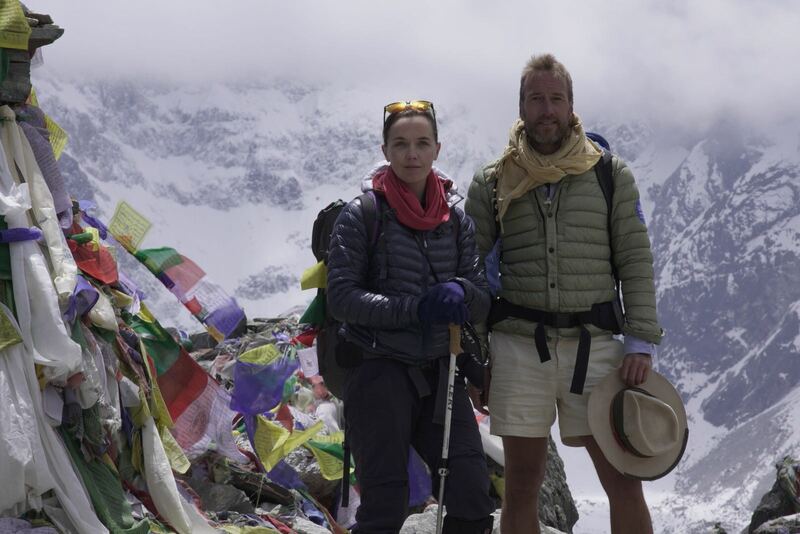 CNN International is to exclusively broadcast a new three-part documentary featuring British broadcaster Ben Fogle and double Olympic gold medallist Victoria Pendleton CBE, who faced one the greatest challenges of their lives attempting to reach the summit of Everest. In a journey that captures the mental and physical toll of the 8,848-meter climb – which has claimed the lives of nearly 300 people – The Challenge: Everest accompanies Fogle and Pendleton during their six-day trek to base camp, acclimatisation on Everest and final ascent to reach the summit. The Challenge: Everest tells the story and dangers of the six-week expedition, including the extreme weather and frequent avalanches on the South Col route from Nepal. Through revealing interviews and intimate video diaries, viewers will see Pendleton wrestling with the heart–wrenching decision whether to retire from the climb after suffering severe hypoxia at high altitude. The documentary also captures the life-threatening moment when both Fogle and the cameraman’s oxygen regulators exploded within sight of the summit, deep within Everest’s so-called Death Zone. Fogle and Pendleton were accompanied by world-renowned mountaineer Kenton Cool, who was making his 13th ascent of Everest. Together with the heroic Sherpas Ang Thindu Sherpa and Ming Dorjee Sherpa, who sacrificed their own oxygen masks and tanks to rescue Fogle and the expedition’s cameraman. Produced by CNN Vision, the in-house creative production unit of CNN International, Fogle and Pendleton were filmed by award-winning photographer Mark Fisher, an expert mountaineer in his own right. The Challenge: Everest enlists CNN’s commitment to high-quality productions to capture the intensity of scaling the world’s tallest mountain for a global audience. As part of Fogle’s capacity as UN Patron of the Wilderness, the team effected an ‘ethical’ climb, aiming to remove all the expedition’s waste from the mountain and reduce environmental damage caused by visitors to Everest, 65 years after Sherpa Tenzing Norgay and New Zealander Sir Edmund Hillary made the first confirmed ascent. Fogle and Pendleton’s climb was in support of The British Red Cross and the expedition was part of the ‘Anything is Possible’ initiative, founded by Her Royal Highness Princess Haya, which honours the legacy of HM King Hussein I, who believed that with faith, honour and courage, anything is possible.